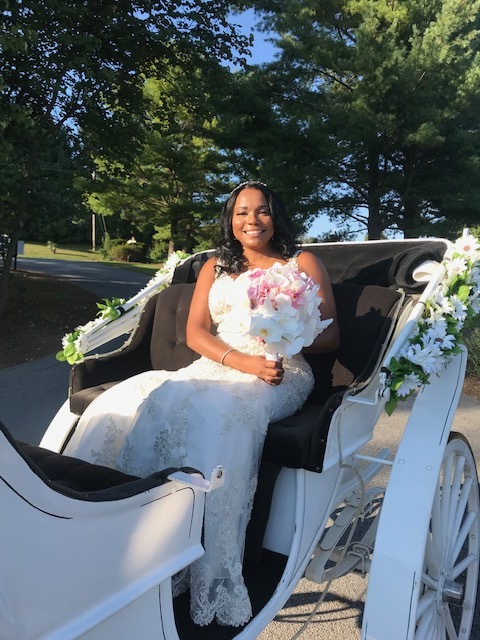 The most emotional moment for me was when I made my entry to the ceremony site on a horse and carriage and took my first look at my handsome groom waiting for me at the outside arbor. The look on his face took my breath away. At that moment I knew that everything going forward would be okay and that there was a lot of LOVE surrounding us. One of my favorite parts of celebrating was when all of our family and friends were dancing together having the best time at the reception. The love that filled the room was incredible. It was so beautiful to have both families coming together and loving each other in celebration of us! My matron of honor surprised me with a box filled with emotional goodies during our time getting ready at the hotel with all the bridesmaids. The box contained items for me to choose from to borrow. Some included earrings that she wore on her big day, a diamond bracelet that she also wore for her wedding, one of my favorite perfumes, and her favorite sweater that was her grandmother’s. Each item had a note explaining its meaning. Her grandmother’s sweater stole everyone’s heart as the note explained that she only wears it when she needs to feel warm and comforted. It ended up being an emotional moment but very beautiful nonetheless. I was completely surprised and felt so incredibly loved by her heartfelt notes to me. We had the unity candles at our ceremony; however, our oldest son and daughter lit the taper candles instead of our mothers. We thought it would be very meaningful if we included our children in the unity lighting ceremony. It made for more tears of course but was overwhelmingly beautiful to see our children take part in our union. My husband loves cigars so I made sure we included “Jamaal’s Cigar Bar” to represent his enthusiasm for cigars. We went to beautiful Aruba for our honeymoon. We absolutely love it there!!! We had romantic dinners at different amazing restaurants. We also were able to enjoy an UTV tour exploring Aruba’s rocky terrain, beautiful beaches, dramatic cliffs and desert landscapes. My husband and I planned the wedding together from beginning to end. It was really lovely going through the process with him as it made us get even closer as a couple . There were areas that were solely for me to arrange but for the most part it was a team effort and I now miss sharing in the planning process with him. One of our favorite things was going to the different food tastings at the venue. Bowling Green Country Club did an amazing job hosting our event and we loved every tasting they hosted leading up to our big day. 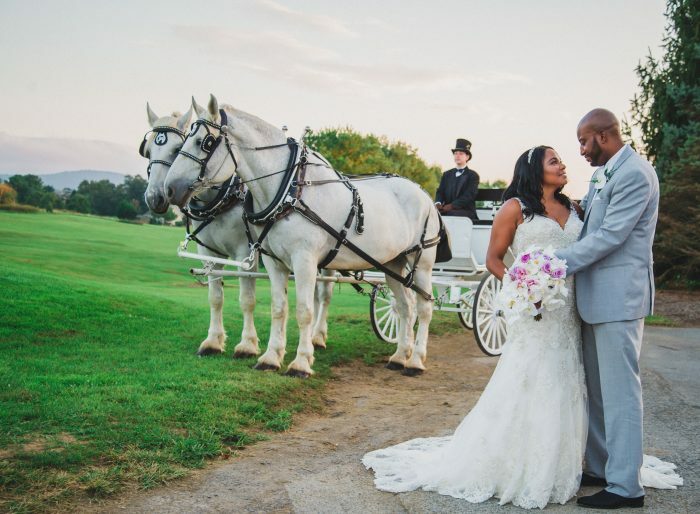 This photo was taking right after we returned from a quick horse and carriage ride as the new Mr. & Mrs. Smith following our ceremony at the lovely Bowling Green Country Club in Front Royal, VA. The air was filled with love and we were overwhelmed with happiness and a profound feeling of completeness. We did it! 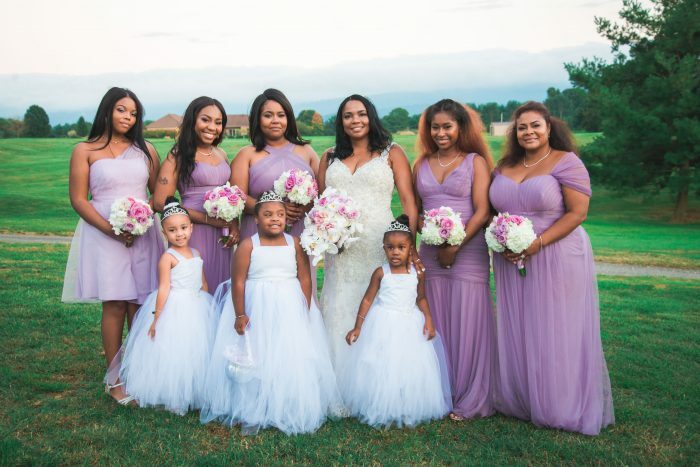 This is a gorgeous photo with my matrons, bridesmaids and cute flower girls. We had the perfect weather day filled with just enough sun to shine on the many blessings we felt throughout the day. This was taken in the bridal suite at Bowling Green Country Club while I was getting wedding ready. 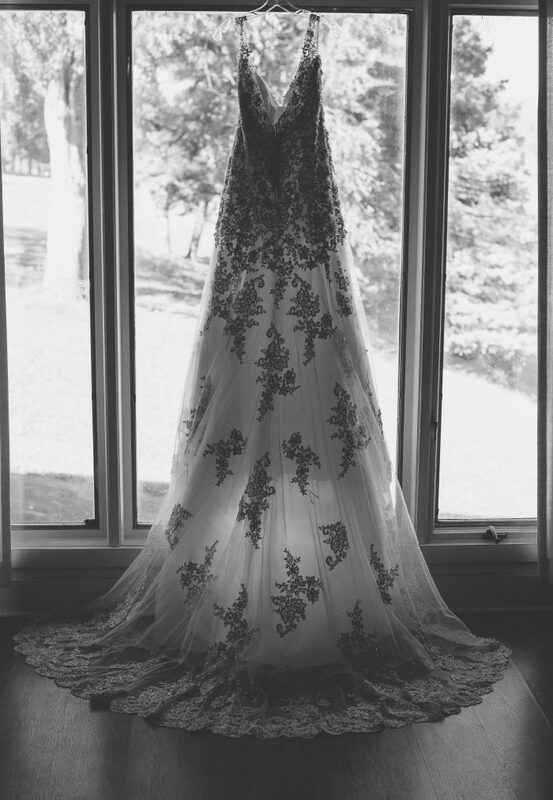 Our photographer, Onita Brown of Captured Blessings found a quiet area snap a photo of The Dress. 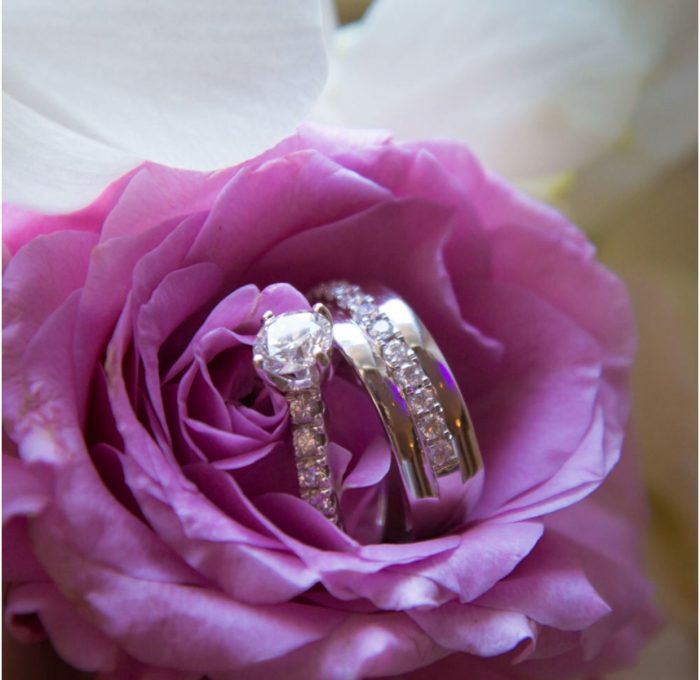 Here is a beautiful photo of our rings!! This photo was taken when I first got in the carriage to ride over to the ceremony site. My heart wouldn’t stop beating fast; I was so nervous and anxious. I couldn’t wait to see my groom!! Here is a closer look at one of our guest tables. We had over 190 guest that filled the room on our magical night. 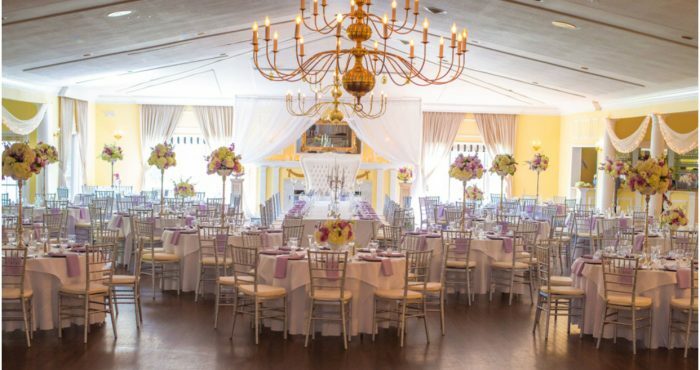 I had the pleasure of designing and executing the decor for our beautiful ceremony and reception. 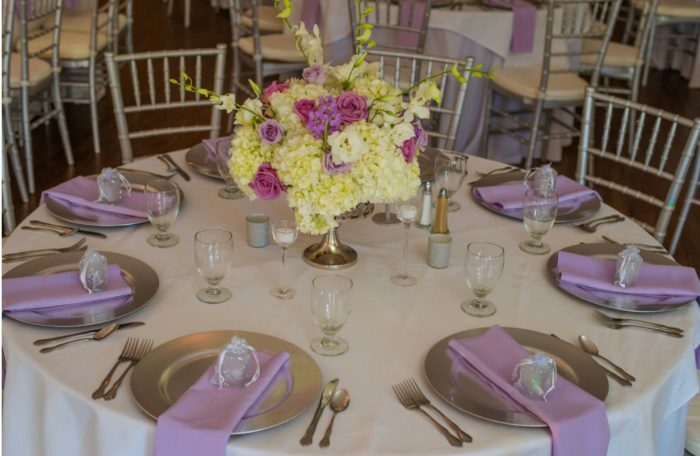 Our beautiful flowers and decor were done by the talented Fifi of Petal & Stems. There were lots of hands helping to prepare the perfect scene and I am forever thankful! This photo was taken before the candles were lit and the uplighting on to complete the ambience of the evening. Here is just one of many special moments of the evening. 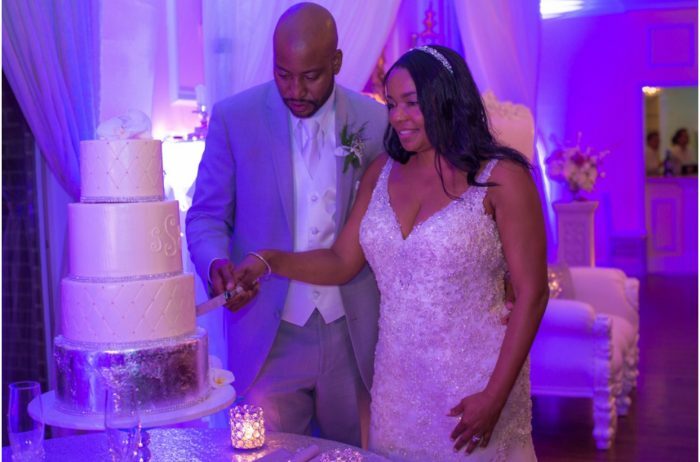 We enjoyed cutting our delicious cake by Simply Desserts as the new Mr. & Mrs. Our hearts were singing joyously together and all eyes were on us. Words cannot describe how blessed we felt in this photo that was taken after our ceremony by outside arbor at Bowling Green Country Club. The day was beautiful and was filled with magical moments of love. I was so anxious and nervous all day while preparing for our wedding, but when my husband looked at me all my anxiety left and I was completely in the moment. 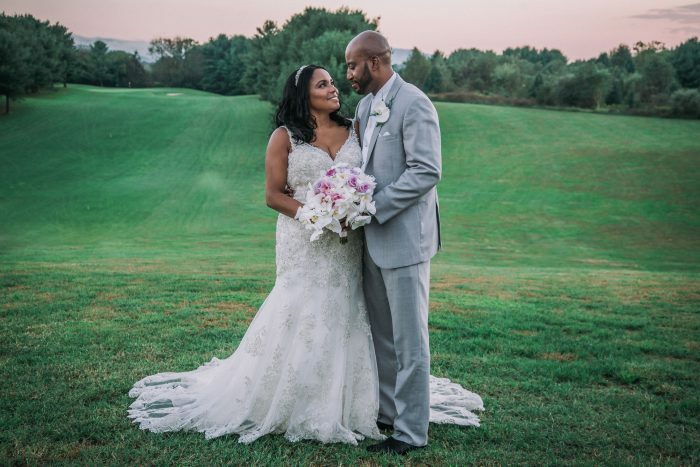 October 6, 2018 was the best day ever! !